General conference is upon us in two days. Two days, people. Around here this is as exciting as Christmas. The other day, Grant (10) said, “Mom, I wish we could blip ahead 3 days so it would be general conference already.” Me too, son, me too. I have two things I want to say about general conference because they are the ideas that are burning the brightest in my heart right now every time I think about this biannual event. “The judge sat and listened intently. He asked some very pointed and searching questions, and at the end of the interview he said, ‘Mr. Brown, I wonder if your people appreciate the import of your message. 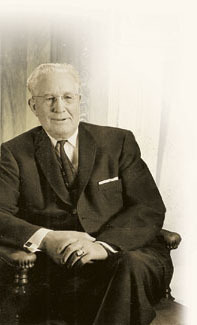 Do you?’ He said, ‘If what you have told me is true, it is the greatest message that has come to this earth since the angels announced the birth of Christ’” (in Conference Report, Oct. 1967, 118, 120; emphasis added; see also The Profile of a Prophet, Brigham Young University Speeches of the Year [Oct. 4, 1955], 4–5, 8; or “The Profile of a Prophet,” Ensign, June 2006, 36–37, 39). 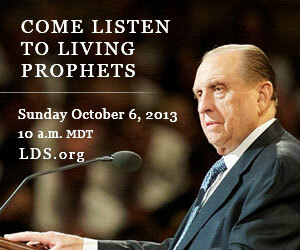 I invite you to tune in to what God is saying in our day by listening to prophets and apostles. General Conference is this weekend, Oct. 5 and 6, and will be broadcast live on KSL, BYUTV (available via Dish and DirectTV), and streamed on mormonchannel.org and lds.org. The four general sessions will be both days at 10 am and 2 pm, Mountain Daylight Time. (1 hour earlier in California, 2 hours later for east coast.) If you just want to tune in to one session, the Sunday morning one is your best bet because the prophet and president of the Church will give his address during that session. 2. 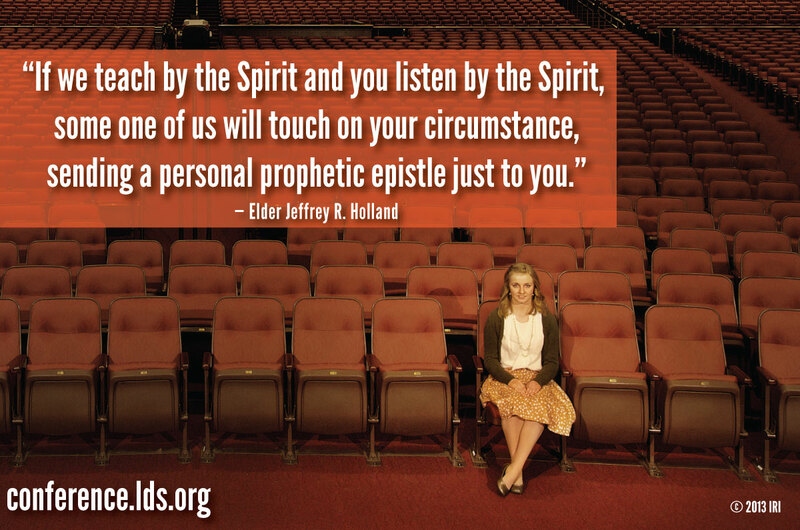 We can get answers to our prayers and the concerns of our hearts as we listen to general conference. One of the reasons I love conference so much is that it recharges my spiritual batteries and prepares me to face the challenges of my life with more courage and determination. In the days leading up to conference, I spend time thinking about and praying about things I want to learn and questions I want to have answered. I can testify that, without exception, I have found what I need in the words of the conference speakers– sometimes the answers come in direct counsel, other times in quiet whisperings in my mind and heart as I listen, but the answers always come. I love this promise by Elder Holland and I believe it with all my heart. When President Gordon B. Hinckley (1910–2008) was sustained as the President of the Church, he explained the commitment we make when we sustain our Church leaders: “This morning we all participated in a solemn assembly. That is just what the name indicates. It is a gathering of the membership where every individual stands equal with every other in exercising with soberness and in solemnity his or her right to sustain or not to sustain those who, under the procedures that arise out of the revelations, have been chosen to lead. “Your uplifted hands in the solemn assembly this morning became an expression of your willingness and desire to uphold us, your brethren and your servants, with your confidence, faith, and prayer” (in Conference Report, Apr. 1995, 70–71; or Ensign, May 1995, 51; emphasis added). This past weekend, we had the opportunity to hear from our general Relief Society presidency (the women’s organization of the Church) and they reiterated the great power and eternal blessings that come into women’s lives as we make and keep our covenants and participate in temple service. Our prophet, Thomas S. Monson, emphasized the love of our Heavenly Father and testified that it never changes. I personally have felt in my own life the power, the blessings, and the love that He offers to His daughters, and I am proud to be a woman in His Church. Yay! I’m still working on my questions!! But I’m excited! Love it Stephanie. Thank you for sharing your voice, as it well represents mine. Great blog. I would only add that we don’t really know how many women would like to have the priesthood. And when at least two prophets have told sisters that they should perform priesthood ordinances, I wouldn’t go so far as to say there is a consensus among the prophets of this dispensation. Josh, thanks for your comment. You are right that we don’t know how many, but the surveys I have seen recently point to less than 10%; therefore it seemed safe to say that a “large majority” are not seeking ordination. With regards to dispensations, I believe there is plenty of evidence both in scripture and recent Church History of policy differences regarding a variety of matters (sacrifice, Sabbath day observance, the scope of missionary work, etc.). However, I take my cue from President Ezra Taft Benson’s “14 Fundamentals of Following the Prophet” where he gives the charge that a living prophet is more vital to us than a dead prophet. I feel confident that there IS a consensus on this issue among the fifteen *living* prophets, seers, and revelators, and since they are ones I have covenanted to sustain, I guess I don’t feel the same sense of confusion you expressed. This was GREAT! I loved the way you explained the situation with this small faction of LDS women that do not understand our roles and purposes as LDS women in these last days but do have every right to search for the answers to their questions, just as we all do. It has been a little hard for me to wrap my brain around the thinking expressed by these women and this helped me to re-realize that we are all learning and growing on our journey! I second the sentiment of having “ears to hear”! Thank you! I love your thoughts on being a woman today in the church, and I feel the same way! I’ve gone back and forth on how to feel for my sisters who are struggling with this issue, but your words feel like the right approach. I can’t wait for this weekend, and my kids have been counting down, too! Hope it’s an answer to your prayers, as I’m confident it will be. I cried reading this. It is such a privilege to have a living prophet. I read this to my husband and we were both so touched. Thank you for sharing it. Thank you for this post. I echo what you have said. Now that we have heard the messages, I do believe the mind and will of the Lord was spoken, with ample evidence that the Lord and His leaders are keenly aware of the questions that some have about the place of women in God’s plan and Church. I loved the concept of moral authority, the reiteration that priesthood power — God’s power — is accessed through priesthood covenants and ordinances, and that God loves us all and desires to bless us and help us in our struggles and questions and trials. I think it was also a reminder to us who do not necessarily struggle in this way to, as you point out, respect the space of those with questions to sort through them. We truly don’t know what pain may be under the doubts and questions and God has a way of responding in such very personal ways according to all He knows about each life and heart.